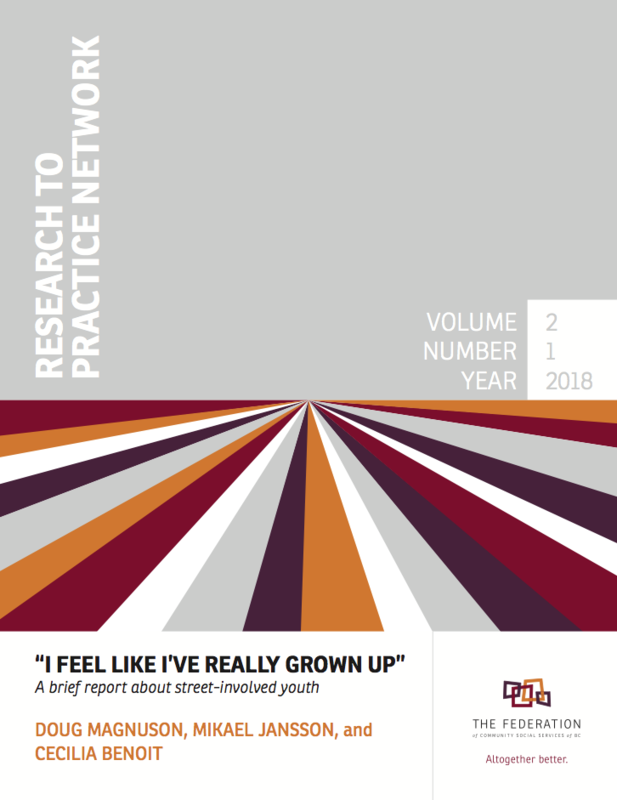 The Research to Practice Network is a collection of academics and researchers working in collaborative partnership with The Federation to provide practitioners with insight into emerging research in the field of child and family practice. The Research to Practice Network empowers Federation member agencies and their staff to be the best informed, most progressive, and effective child and family serving organizations in the country. It enables our members to continually evolve and improve their services in order to meet the needs and best interests of the people they serve. These articles and summaries inform and promote reflective practice, practice-based research, and ongoing program evaluation. Articles are shared with Federation member agencies before being made available to agencies and front-line staff across the province. 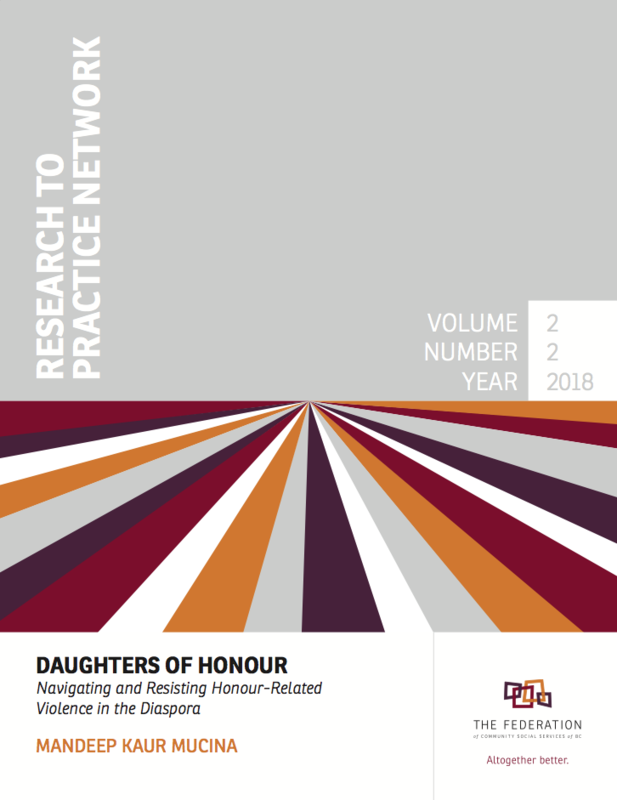 This article examines the many ways in which honour-related violence has been attached to particular bodies and communities in Canada and explores the impact of this violence on second-generation immigrant women, their families, and communities. The conclusion includes lessons, strategies, and considerations for front-line child and youth care staff who work with diverse women and girls who may be encountering family and/or gender-based violence. This article from a University of Victoria team of researchers shares the findings of a long-term study of street-involved youth in BC. The analysis draws from interviews with over 200 participants that were followed over a period of 6-10 years and speaks to the nature of the instability they experience and their struggles toward adult lives and adult identities. Is there an area of practice your staff members are keenly interested in? Is there a community issue or aspect of service delivery that your team wants to better understand? Help guide the direction of the Research to Practice network by identifying topics and issues that deserve to be focused on. Contact our Communications Coordinator with your ideas and input! We’re inviting professors, students, and researchers to submit short articles and research summaries that can help improve front-line service delivery in BC’s community social services. If you know of and/or are working in areas related to reconciliation and decolonizing practice, youth in care, early years, leadership, complexity, child and youth mental health, residential care, autism, housing, seniors, substance use, resiliency, or training and supervision of staff, please contact our Communications Coordinator! You can also help us get the word out by circulating this call among your students and faculty members. If you are interested or have any questions, contact our Communications Coordinator. Approved articles are designed and published online by The Research to Practice Network (ISSN 2561-2581), shared with over 130 Federation member organizations, and printed in the annual R2P Magazine. Research to Practice members are leading academics and researchers in a range of areas. Each has made a commitment to translate the latest research relevant to front-line workers into understandable and practical summaries and articles. See the growing list of Research to Practice Members and learn more about their work and other areas of research. This paper exposes the factors affecting the uptake of a new idea/intervention, from theory to practice, with recommendations stemming from interviews with teachers, counsellors, and principals. This article provides an overview of the application of response-based practice in the Together for Justice project in Whitehorse and in Watson Lake, Yukon. In this project, Catherine Richardson and Allan Wade facilitated a number of community meetings involving primarily Kaska women, Yukon Royal Canadian Mounted Police (RCMP), and community service providers with an interest in reducing and eliminating violence against women. Considerable discussion concerning capacity building emerged during a period of time when governments of all political stripes were retreating from responsibility for social welfare provision. In Canada, the federal government’s role in funding the provision of social welfare services has substantially declined and more responsibility has shifted to the provinces. Forced-march implementation is unlikely to reach its desired destination. Organizational systems are no more likely than family systems to function well and adaptively in the face of pressure to perform beyond capacity. When pressure is unabated and unrealistic, members of the focal system are less likely to engage with the change beyond superficial compliance and more likely to dissimulate. What we would not willingly do to the families we serve, we must not do to ourselves. The transition to adulthood can be a critical time in the development of positive mental health. This review considers the research evidence for different strategies and community interventions that promote positive mental health among young people during this transition. All of us have had the experience of wondering about, questioning, or being surprised at someone else’s decision-making. 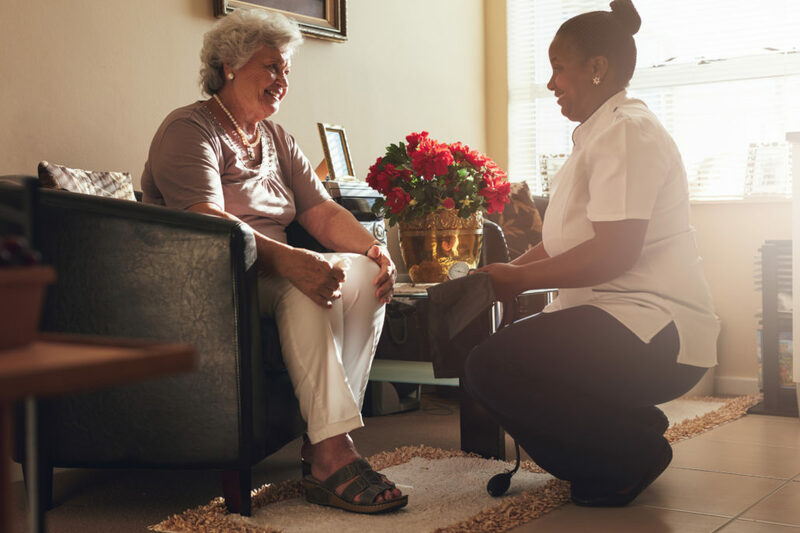 Understanding a client’s or family’s situation is complex, in part, because there are various perspectives on the issues, the causes, and the intervention. In team meetings, lively discussion about these various perspectives can lead to a more thorough assessment and understanding of a particular situation which then leads to a better resolution for the client and family. However, in some cases, even with the best intentions, the situation becomes worse, and in some cases, the social work decision-making plays out as a scandal in the local media. Disproportionality in child welfare is disturbing for many reasons, not least of which is that it reveals major structural fractures in the social contract of our country. When any identifiable group has disproportionate numbers of children coming into state care, the underlying issues that may give rise to problems in family functioning warrant examination. Alas, these underlying problems are not typically addressed in conventional approaches to service on behalf of families at risk of disruption. Indeed it is quite common for interventions to focus on the ‘problem’ family while ignoring significant contributors to the family problems. This paper seeks to identify some of the patterns. Child welfare is influenced by a number of factors including public policy, the economy, culture, and the prevailing social values. Child welfare practice is also shaped and formed by the geography of the work location. This paper considers ways in which geographic location influences the practice of social work supervision in the field of child welfare. This article is written not so much as a recipe for how to collaborate … rather it is written as a reminder of the meaning, intent, and significance of collaboration in our work with children and youth. We must understand collaboration in order to collaborate. This is a primary step in giving it the priority. Islands of Safety aims to create safety by orchestrating positive social responses to children and adults who are at risk in their own families. The model includes the creation of concrete, workable safety plans. Where possible, and with a maximum level of choice and autonomy, Indigenous families are invited to discuss their hopes and dreams for their family through a Métis/Cree model of family life by identifying how their family has responded to current and historical violence and oppression. This paper is a personal reflection on the integration of child and family services practices in Canada. The paper is also Dr. Salhani’s critique of his own practices in this area. The central thesis is that integration of services must exist at all levels in order to be sustainable, that is, a permanent, flexible, locally governed, effective, efficient and self-renewing feature in Canadian communities. This survey is the largest survey of its kind in Canada and provides the most comprehensive picture of the physical and emotional health of BC youth, including risk and protective factors. It offers us key information, not only about the current health picture of BC youth but also about health trends and the effect of programs and policies implemented over the past 15 years. Today, men are present in the lives of child welfare-involved children as the resident or nonresident fathers, step-fathers, the mothers’ partner, the mother’s brother or father, and family friends. Yet the overwhelming focus of child welfare policy, practice, research, and education is mothers. This essay explores why men and fathers are often not involved in child welfare services, describes how to encourage their involvement, and identifies some of the complexities of increased father involvement in child welfare. One of the aims of this paper is to show some of this complexity and unsettledness while never losing sight of the practical need to support practitioners to work constructively and ethically to prevent youth suicide and suicidal behaviours; an orientation that has something in common with Patti Lather’s notion of a “double(d) practice” in which we are “doing and troubling” the practice simultaneously. This paper will review the human services literature regarding the relationship between organizational or management variables and client outcomes as well as point to some promising practices for the management of human services organizations.